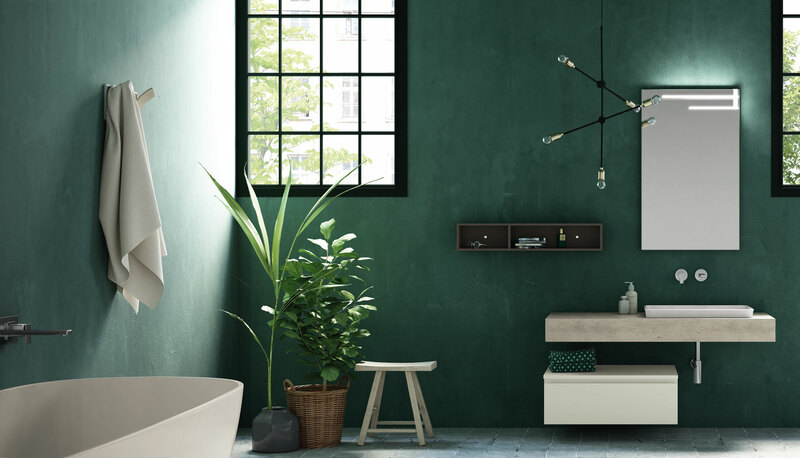 A furniture solution that’s all about simplicity: The vanity with semi-inset basin is teamed with a wall unit and a three-drawer base unit that doubles as a useful shelf. The polished-edge mirror with built-in LED lighting is designed in the same vein. 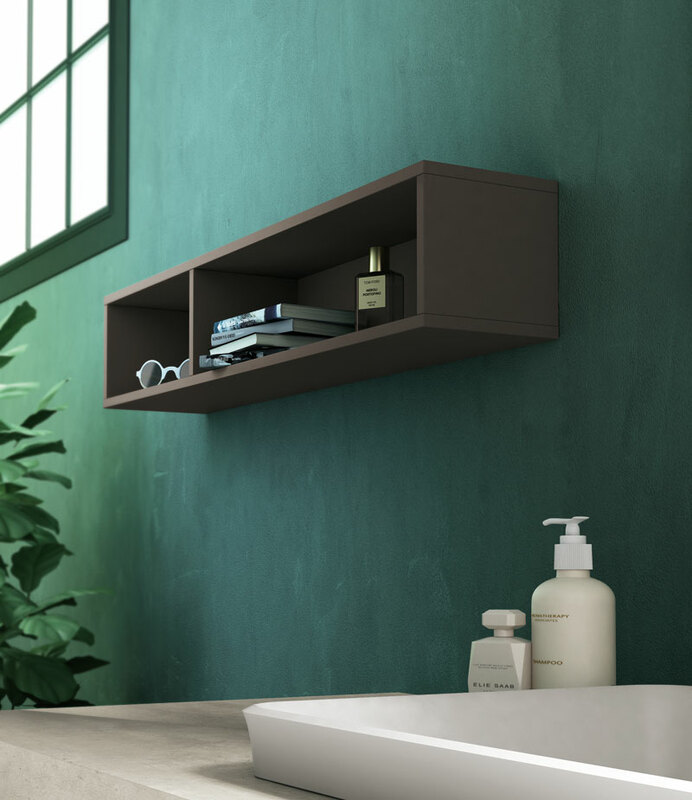 The open wall unit provides additional space for frequently used items, freeing up the top so it stays clear of clutter. 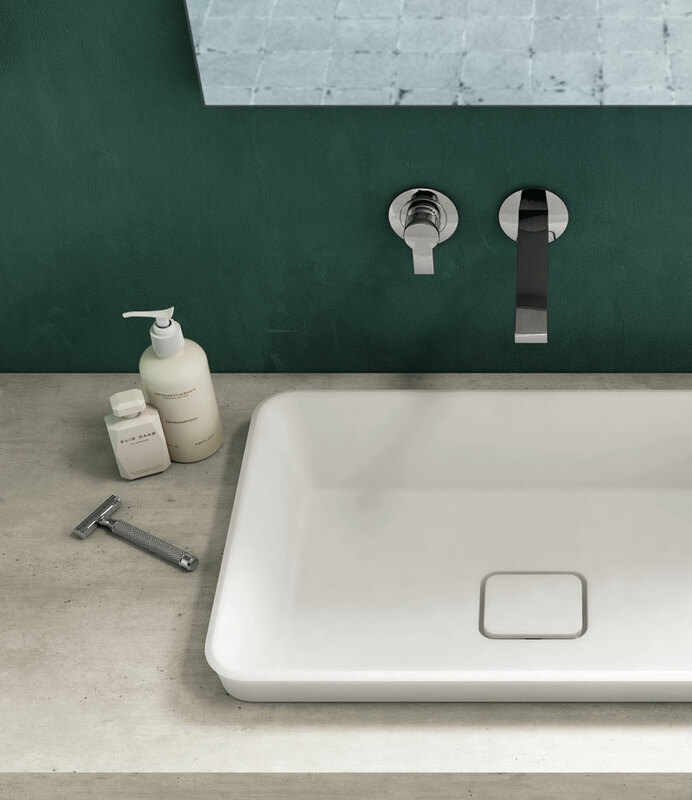 The fairly basic design of the MineralMarmo® basin visible above the top belies the generous size of the actual bowl as it is semi inset in the vanity clad with a concrete-look HPL.